Are you more likely to be killed by a meteor or to win the lottery? The odds of being crushed by a meteor are considerably lower (i.e. more likely) than those of winning the jackpot on the National Lottery. In the account’s usual citationless factoid style, the Elves state that you’re more likely to be crushed by a meteor than to win the jackpot on the lottery. Should we not be getting almost weekly stories of people being crushed by a meteor then ? Yeah, why don’t we hear about people being squished by interplanetary rocks all the time? I’d tune in to that! This week, it was announced that from October the UK’s National Lottery, currently operated by Camelot and already providing a veritable Merlin’s cave of probability lessons for maths teachers, will be changing the rules for its main ‘Lotto’ draw. The main changes are that a new £1m prize will be added to the raffle element you didn’t know already happens, and that matching two balls will win a free ‘lucky dip’ ticket in the subsequent draw. The fixed £25 prize for matching three balls remains on the round table (even though it sometimes causes hilarious number gaffes). But the Sword of Damocles hanging over Camelot’s changes is that there will be an extra ten balls to choose six from (59 instead of 49), dramatically lengthening the odds of winning all of the pre-existing prizes. This is our round-up of the media’s coverage of this mathematical “news”. This is a puzzle I presented at the MathsJam conference. It’s a problem that gave me a headache for a week or so, and I thought others might enjoy it, too. I do know the answer, but I’m not going to give it away — you can tweet me @icecolbeveridge if you want to discuss your theories! (As Colin Wright says: don’t tell people the answer). 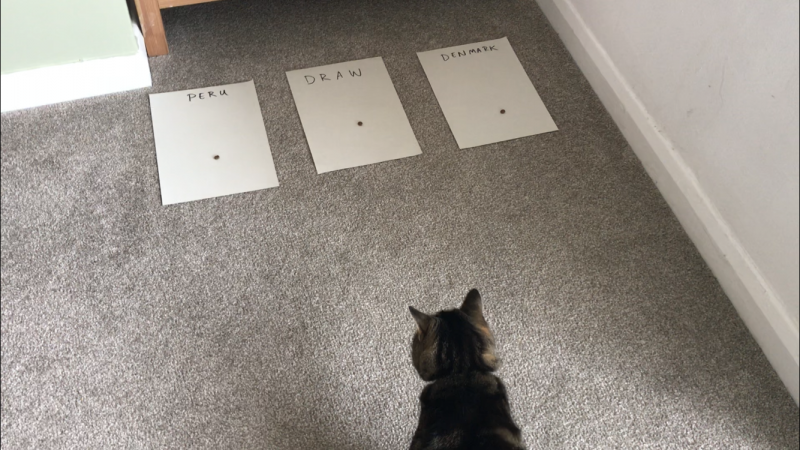 You’ve heard of the Monty Hall Problem, right? Long-time Aperiodical muse David Cushing has made a bet with us that he can give us an interesting post every Friday for the next ten weeks. Every week that he sends a post, we buy him a bar of chocolate. Every week that he doesn’t send us a post, he buys us a bar of chocolate. For his first trick, David is going to do some unnatural things with the natural numbers. The greatest common divisor (gcd) of two or more integers is the greatest integer that evenly divides those integers. For example, the gcd of $8$ and $12$ is $4$ (usually written as $\gcd(8,12)=4$). Two integers are called coprime (or “relatively prime”) if their gcd is equal to $1$. Given two randomly chosen integers $a$ and $b$, what is the probability that $\gcd(a,b)=1$? I have a new toy. 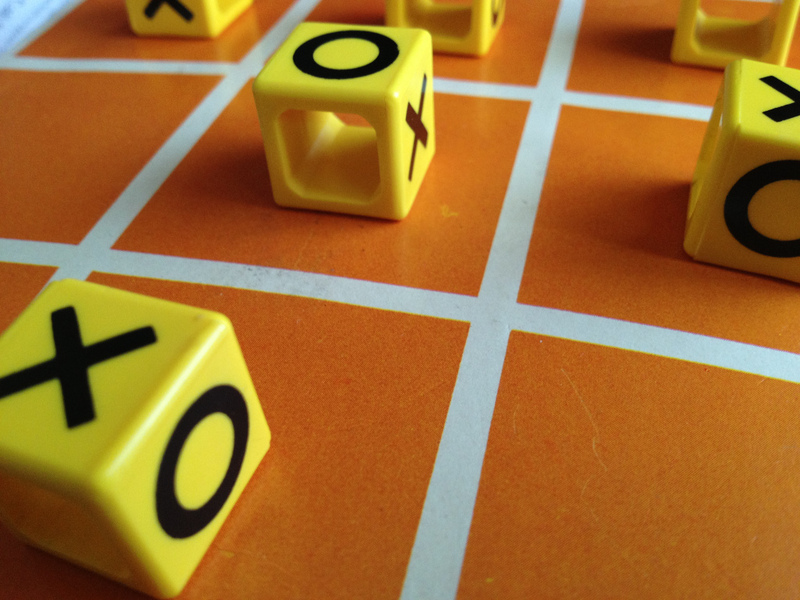 ‘Ox Blocks’ box promises “Noughts and Crosses with a novel twist”.